We enjoy supporting the sector we work with and believe this gives us an empathy which is reflected in our commitment of service to both our candidates and clients. Many people within TPP like to support charities in their spare time and as part of our TPP Giving Back programme, they receive paid leave for volunteering. 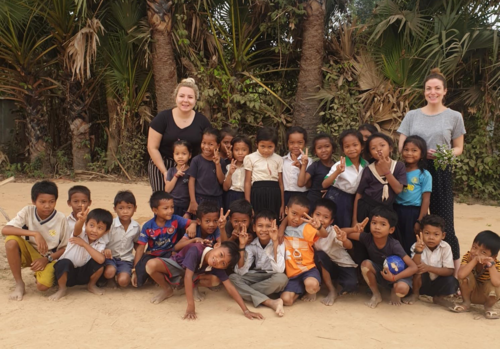 Elizabeth and Brigittte used their volunteer opportunity to support chilren in Cambodia on their Globalteer Helping Hands programme. Find oout more about their trip here. 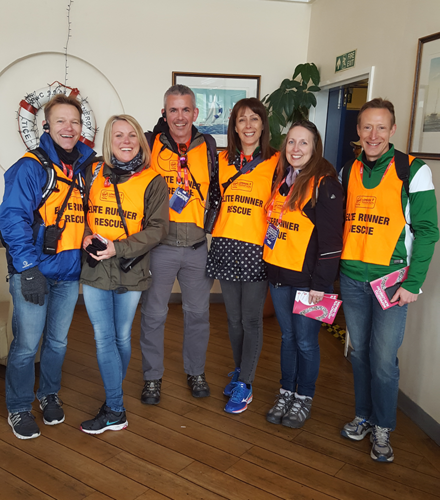 Diane from our Client Relations team volunteered with the Tommy's London Landmarks half marathon events team. Calling runners to thank them for their support and for any queries before the race. 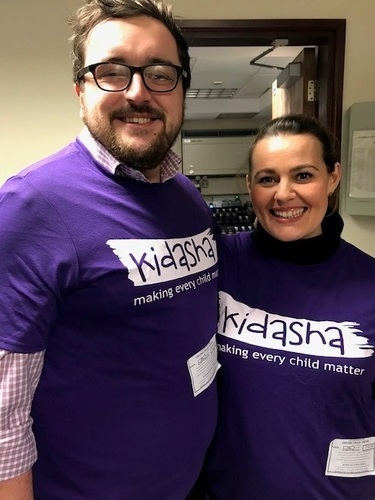 Toby and Kate volunteered for Kidasha Nepal, a children's charity improving the lives of children living in extreme poverty in one of the poorest countries in the world. For the last 8 months, Penny Raven has been regularly volunteering for StreetLink, covering 4hr shifts every fortnight with additional help when needed. Through her volunteering, Penny has supported people sleeping rough on the streets, by handling alerts and signposting people to appropriate services. Waseema Ibraimo organised the Macmillan Cancer Support Coffee Morning at TPP. 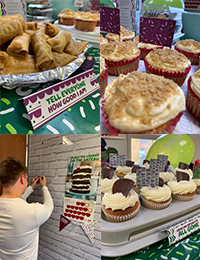 Members of staff baked treats for the fundraiser with donations from the sales helping the lives of people living with cancer live life as fully as they can. 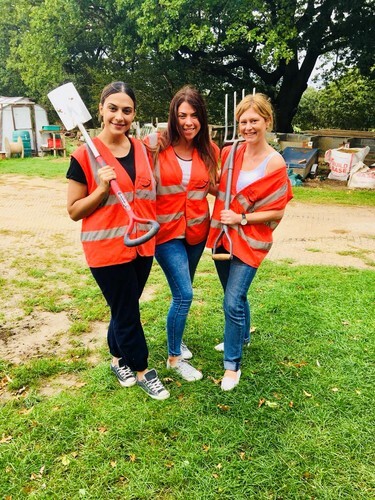 Bita, Natasha and Penny spent the day volunteering at Havens hospice. 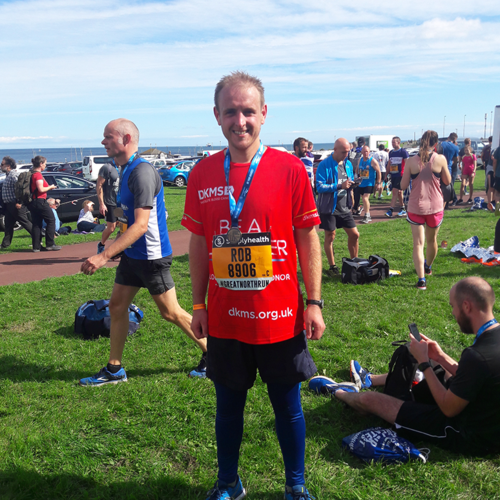 Rob Muddiman took part in the Great North Run in aid of DKMS blood cancer charity. Rob completed the race in 1hour 58 minutes. Well done Rob! Diane Duberry volunteered with Solidarity sports. They offer a number of programmes (sport, arts, trips away, mentoring) for children from disadvantaged backgrounds or those that have experienced trauma. Diane was at the tennis club in Notting Hill playing tennis and games all day. 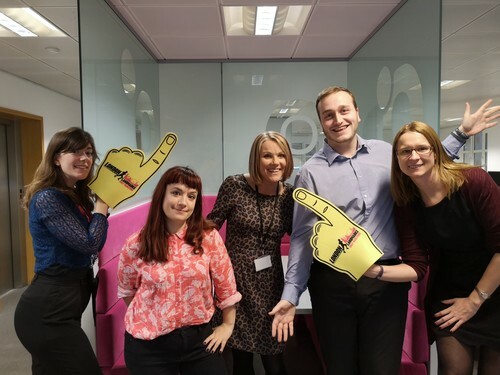 Donna, Toby, Nikki, Laura, Danielle and Christiana volunteered as interviewees for the National Literacy Trust. The Business immersion day helped to develop interview and communication skills of young people. “It was interesting to talk to different people with different roles in the company”. “I really enjoyed the office tour where I could imagine myself working in the future”. 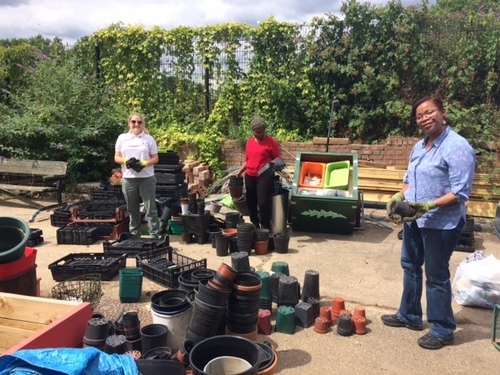 Samantha Johnston volunteered at Peckham Community Garden, planting tomatoes and beetroot for the local food bank . Sophie Butler volunteered with Action Against Hunger. Fundraising to save the lives of malnourished children and provide families with access to good nutrition and clean drinking water. Donna Newton volunteering at East Sussex Wildlife Rescue and Ambulance Services. 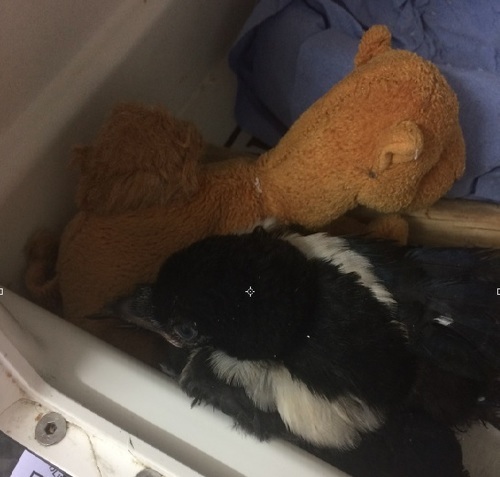 This is Khronus the 3 week old magpie snuggling his toy camel. Waseema Ibraimo organised the GOSH Bake It Better fundraiser at TPP. 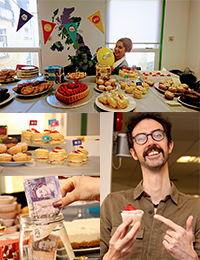 Members of staff baked treats for the fundraiser with donations from the bake sale helping the lives of unwell children at Great Ormond Street Hospital. 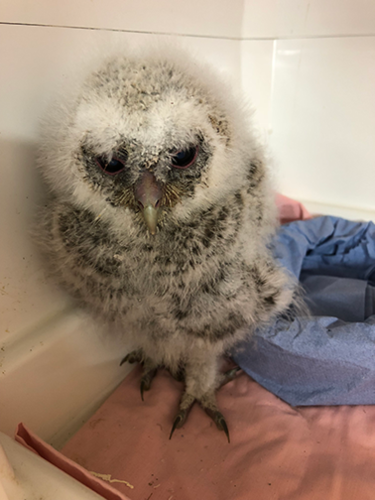 Donna Newton has started volunteering at East Sussex Wildlife Rescue and Ambulance Services. Donna is part of the Orphan Baby Bird Rearing team and volunteers every Saturday 2pm -6pm. Donna is also a member of Canine Concern. Donna takes her Alaskan Malamutes to the local care home, Glottenham Manor to meet the residents on Saturdays. Toby Roberts recently volunteered at Tower Hamlets College assisting with CV and interview workshops. Brigitte Stundner is a regular volunteer / runner for Goodgym and recently volunteered with Elizabeth Frank for the Cocktails in Care Homes programme for Magic Me. 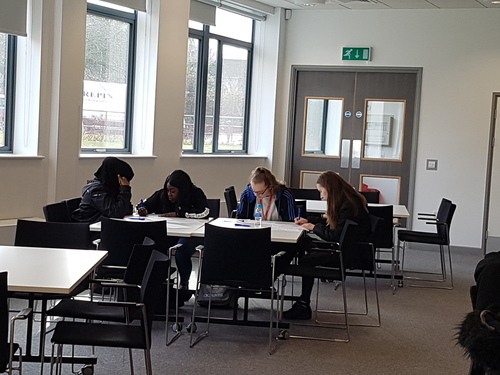 Kristina Preston and Rob Muddiman volunteered for the Royal Society of Blind Children, delivering employability sessions for entry level ability and graduate level students. Samantha Johnston and Angela Chellappah volunteered at Merton College and delivered a career workshop. 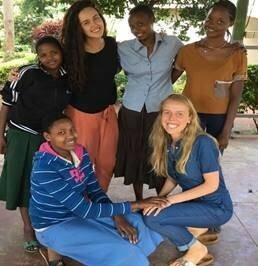 Kirstie O'Neill volunteered with African Impact in Tanzania, East Africa working with students in Moshi, a town off the foothills of Mount Kilimanjaro. Joanne Harrington and Glen Manners volunteered at Caritas Anchor House. 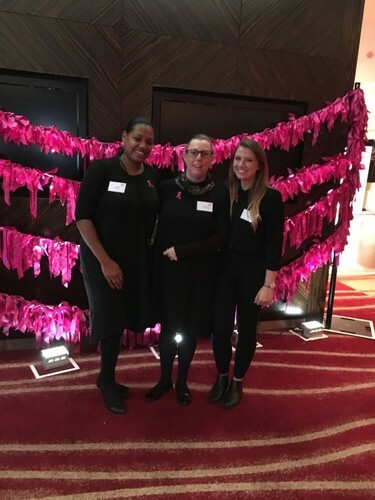 Lisa Sonson-Myrie, Donna Newton and Holly Jay volunteered at the Breast Cancer Care - The Show London. 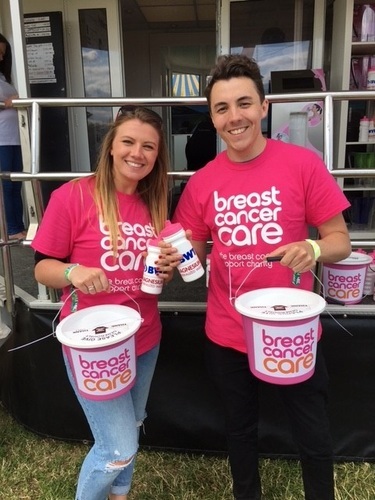 Holly Jay, Sean Brinkley and Kay Buck volunteered for Breast Cancer Care at the British Grand Prix in July. Sam Johnston volunteered for the Burgees Park Food Project in July. 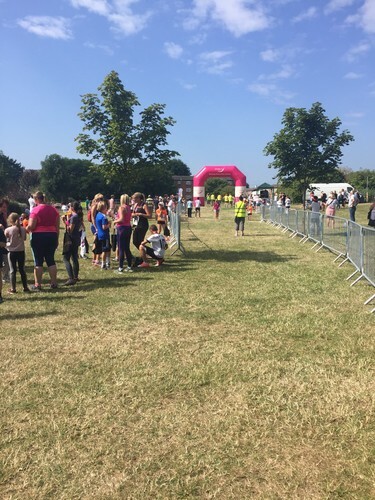 Penny Raven volunteered for Havens Hospices at the Southend half marathon in July. Kate Maunder, Ashby Jenkins & Sarah Madahar volunteered for Bliss in June and July, calling supporters with regards to the new GDPR. 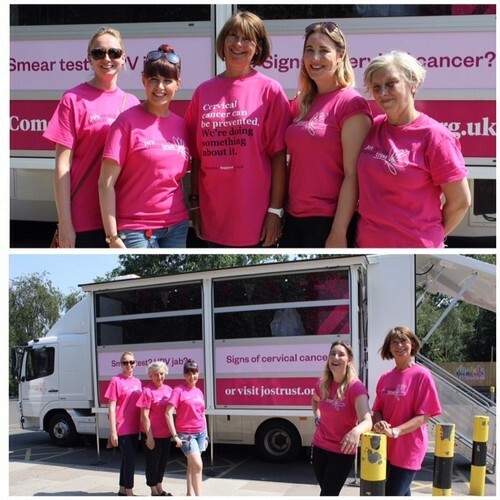 Sophie Butler volunteered for Jo's Cervical Cancer Trust on the 19th June at their Be Cervix Savvy Roadshow. Sophie promoted the importance of cervical screening, the HPV vaccination and looking out for the symptoms. 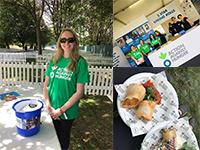 Sophie Butler volunteered for Action Against Hunger at Taste of London on 15th and 16th June 2017. 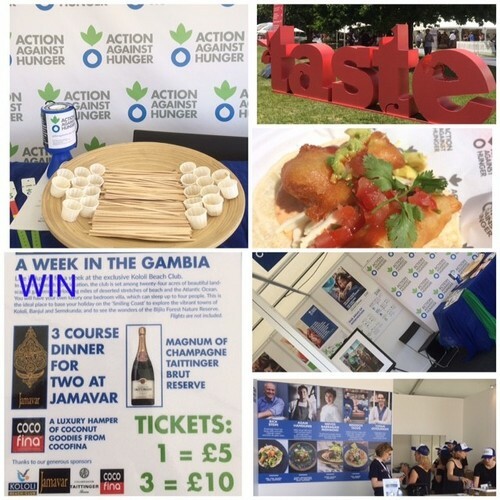 Sophie worked at the gates raising money and on the exhibition stand talking to people about the ready to use therapeutic foods for malnourished children in Africa, Asia, the Middle East & America and sold raffle tickets. Glen Manners, volunteers as a Shipmate for The Hackney Pirates. 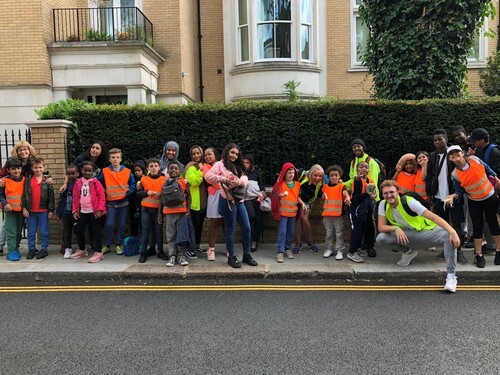 Based in Dalston, they provide kids in the local community with creative learning projects, in an after school set up, to develop both their literacy and boost their confidence. Pairing one volunteer (or "Shipmate" with one child "Pirate"), ensures a productive and unique learning arc for the pirate. 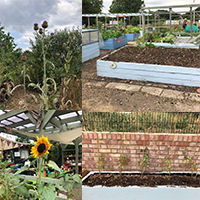 In just two sessions we have read books, brain-stormed lyrics for an anti-global warming song and even paid a visit to Dalston Recording Studios, where the pirates recorded their lyrics for a song. 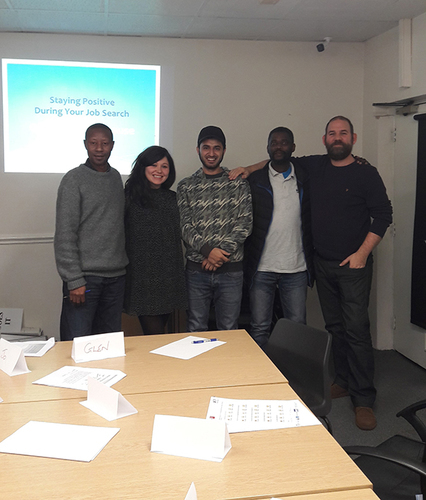 Having now volunteered through TPP's Giving Back programme over the last five years, in such diverse areas, such as a drugs and alcohol rehab-unit within a prison, one to one engagement with the elderly, employability coaching with the homeless and now working with these great kids, I feel immensely proud to be part of such an innovative programme. TPP have provided me with a volunteering platform that is both rewarding, fun and key for my own personal development. 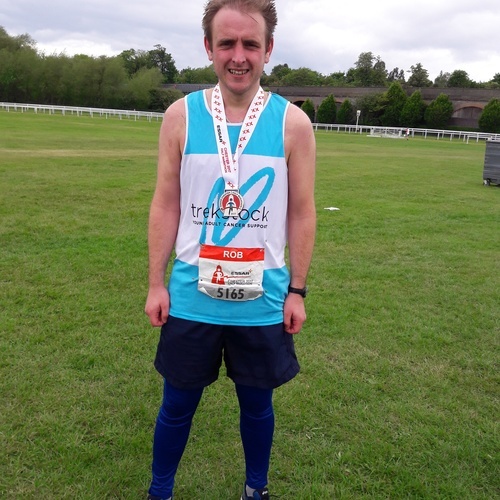 Well done to Rob Muddiman, for running the Essar Chester Half Marathon on Sunday 21st May for Trekstock. Rob ran the half marathon in his best time ever - 1hr 51mins! 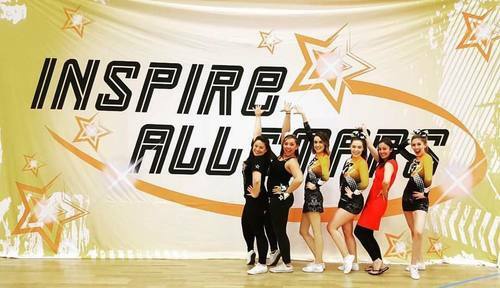 Kristina Preston volunteered at the first ever Inspire AllStars showcase, raising over £1,300 for the MS Society. For the 4th year running Diane Duberry Volunteered at the London Marathon on Sunday 23rd April. Diane was part of the elite runner rescue team, looking after elite runners that pull out through injury or fatigue, also with marshalling and cheering duties. 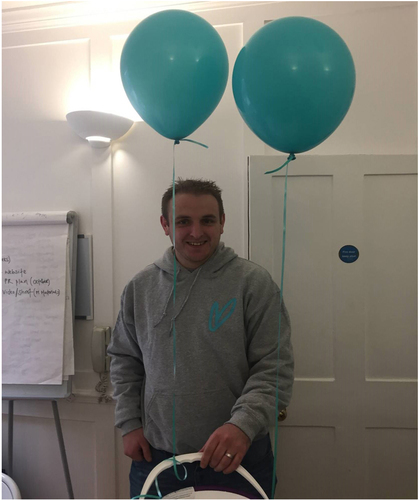 Rob Muddiman, Divisional Manager at TPP took part in Trekstok's #ShareTheLove on February 14th. Raising vital funds and awareness for people in need, in the spirit of love on Valentine's Day. Brigitte Stunder, Resourcing Consultant at TPP, volunteers for GoodGym. GoodGym is a community of runners who get fit by doing good. Brigitte runs from work to an elderly person's home and then spends an hour with this person, chatting over a cup of tea. The objective is to spend some time with someone who is isolated or lonely and create a lasting bond. 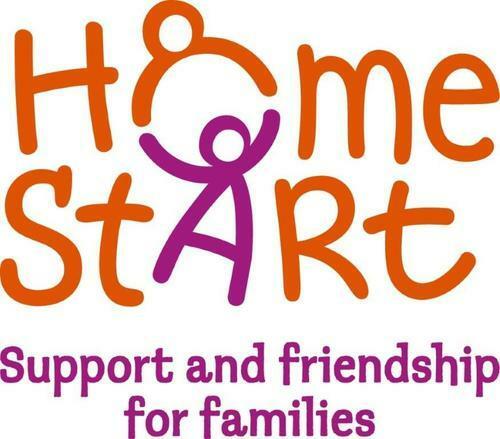 Jayne Morris, CEO of TPP is a Trustee for Home-Start Elbridge.